We very much welcome all general enquiries and you can also contact us by completing our enquiry form. 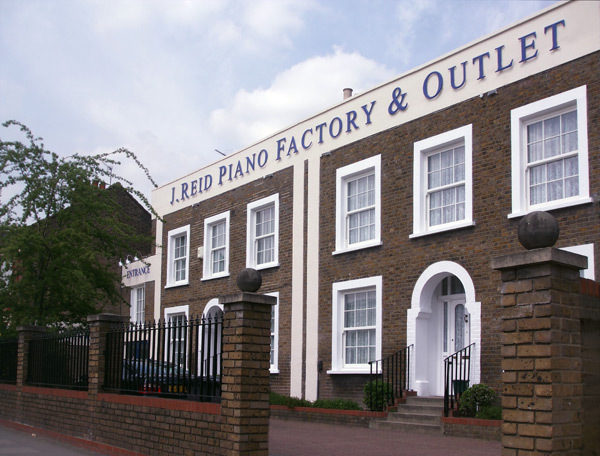 J Reid Pianos welcome all visitors to our Piano Factory and Outlet in North London during our opening hours which are 8.30am – 5.00pm Monday to Fridays and 10am – 5pm on Saturdays. Parking is plentiful and free, the nearest London Underground station is Seven Sisters on the Victoria line which is just 10 minutes walk from our showrooms.